As a partner in a Chartered accountant firm, this is the report which is prepared to update the partner, sally Smith about the potential liability that is faced by the auditors because of global financial crisis. This report deals with the responsibilities of the auditors especially in the times of global financial crisis. The Association of Chartered Certified Accountants (ACCA) enquired many auditors to judge and test the effectiveness and truth behind their work. The period was a serious challenge for auditors as many people rely on the financial statements for getting the information about any organisation and it is the responsibility of the auditors to check and verify those statements and to present their fair and true view to the investors. What led to global financial crisis? Global financial crisis is the situation of economic difficulty in the markets and the population across the world. The global financial crisis started in USA with the failure of Lehman brothers which was the 4th largest bank in USA and it declared itself bankrupt in 2008. It brought down all the markets of the world. The debt markets fell without which no other borrowing and payments were possible as debt markets are like oxygen to the economy (TheTelegraph, 2016). The process of audit is carried out by the auditors who are certified and legally entitled to do so. They review the accounts and books of the company by using techniques and processes and then prepare a report which is known as audit report in which the independent opinion of auditors is given. In the times of financial crisis, it is the responsibility of the auditor to check and make corrections in the current financial systems. It is their responsibility to follow all the auditing standards to represent a true and fair view on the accounts of the companies which will disclose fraud or error, if any followed in the company and will restore the financial strength to the economy slowly and gradually (Todea & Stanciu, 2009). According to the ISA 200 which deals with the responsibilities of the independent auditor while conducting audit of the financial statements. Its main objective is to gain the assurance on the financial statement about their clarity and fairness. It says that an auditor is accountable for conducting and auditing following the correct procedures and professional standards, it should be signed by him and then sent to the shareholders of the company. Association of Chartered Certified Accountants (ACCA) argues on expanding the importance and role of audit so that the needs of the stakeholders can be met more effectively. Auditors are liable to provide their services to the companies and societies by taking care of their investments indirectly. Where the work is not done according to the required standards, the auditors are at the criticism as the end users can take legal actions against the auditors in this case. This liability is good for the companies and for the end users as well (PÁL, 2010). In the case of Lehman brothers, Ernst & Young was paid $31 million for audit. The audit team for Lehman was made up of junior accountants and the trainees whom were responsible for taking up the samples of the transactions to very them to the accounting standards and the rules . These auditors were supposed to cooperate with the internal auditors of the firm. The external auditors avoided the warning signs given by the internal auditors and the investors who trust the auditing report presented by the auditors as true, fair and honest, were unaware that the schemes of the company concealed the $50 billion liabilities (Probohudono, et al., 2013). The auditors were at fault as the auditors are meant to check the accounts and books of the company properly and then present a “true and fair “view on the financial statements of the company. But in the case of Lehman Brothers, the audit report presented to the directors were not true and fair as they concealed the corporate practices which were meant to be revealed (Inman, 2010). EY was responsible to detect the fraud in Lehman Brothers and to disclose the real situation of the accounts of the same. It was required to communicate the real case to the audit committee but later on after Lehman brothers declared it bankrupt it was discovered that, the company followed the methods of accounting which were not acceptable and they were used to make the financial condition of the company as good in front of everyone. According to (Wiggins, Bennett, & Metrick, 2014), Ernst and Young knew about the use of the unacceptable accounting methods by Lehman Brothers which means that EY did not fulfill its duties and responsibilities properly and is presented inaccurate disclosure to the public. If the auditors present the reports which are not reliable and support the companies to conceal the information to be disclosed, the auditors are liable for such violation of law as they were liable for holding and presenting the correct and true information about the company. It is found that Lehman Brothers paid $150 million to EY during the years 2001 and 2008 to prove the financial statements of the bank as true and good in condition. In the year 2013, EY paid $99 million to the investors of Lehman brothers to settle the case and also other $10 million to New York State. After all these payments, the audit firm still refuses to be involved in any of the activities which led to the situation of crisis. According to EY, the audited financial statements of Lehman were shown as a high leveraging because of the risky and unstable industry and not because of the accounting activities (Chatterjee, 2015). The auditors nowadays take audit fees in huge amounts which raise the issue on the value and quality of the audit reports given by the auditors and the independence and knowledge of the auditors. The financial crisis of 2008 was mainly because of the western economies and their complex risk taking financial instruments and their regulation systems. This crisis brought the attention on the auditors as the green signal given by the auditor’s means that the company is having fair accounting practices. The financial crisis added up some issues on the practices of auditing. It has been often believed that the external auditing adds up credibility to the company’s accounts but for this the auditors must have proper knowledge about the management of the company (Sikka, 2009). After the global financial crisis, the role of auditors went into a lot of enquiries and many issues were raised. According to ACCA, liability of Auditors is to owe their duty to the entities they audit and this involves doing their work with skill and competence and following the standards. 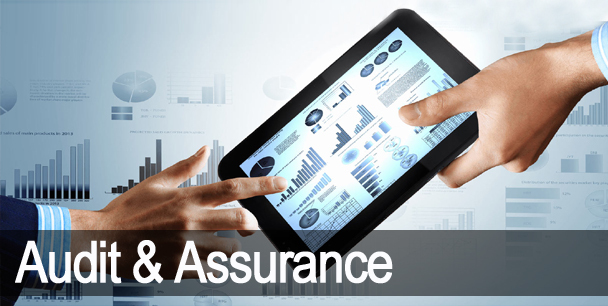 This concept brings quality in the work of the auditors and also the auditors focus on the customer care. The auditors will focus on deriving the benefits to the stakeholders and be professional in auditing the accountings if the threat of being sued will be there in them. After this economic crisis across the world, the auditors have to be more aware about the analysis and verification of the accounts of the companies. The biggest challenges to the auditors are to present innovative solutions to the companies as the market conditions are changing, are volatile (Kaur & Laan, 2013). After the financial crisis across the world, auditing faced a criticism and there was a huge pressure on the audit firms and auditors to increase their quality of work. The auditors were questioned on their practices and on the modifications of the concepts which were done by the auditors (Faulty auditing to blame for rising financial woes, 2013). Different frameworks were produced in order to restore the trust in the profession of Auditing. A study conducted in Australia by (Xu, et al., 2013), which says that the auditors had higher pressure of regulations and higher risk of presenting incorrect opinions, higher risks of legal proceedings and risk of the loss of image and goodwill of the audit firm. The crisis has led these firms to be more careful about these risks and they began to develop some strategies to avoid and reduce the risks of the current volatile environment. These strategies were to not to accept the clients which were risky, increases and improve the quality and efforts in audit and to increase the tendency of issuing the going concern views. But the main issue is that the auditors have to follow the strategies in order to tackle the criticism and the allegations they are facing after the crisis. 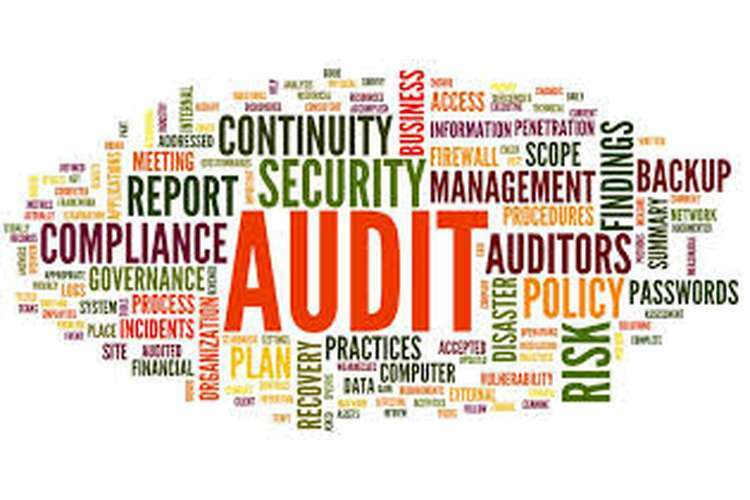 Audit failures may increase the chances of the misleading financial statements of the company and it is perceived by the all that it is auditor because of whom the loss is to be borne by the stakeholders. An auditor is expected to present clean opinion which is the guarantee of the future solvency of the company (Baker, 2014). The conclusion is the report is that the auditors are liable for planning and conducting the audit properly and by following the accounting concepts and regulatory frameworks which brings quality in their work. An auditor needs to fulfill his duties by performing quality verification and checking of the financial accounts of the company with the coordination of the management but there should be no chances of fraud and errors which are done with a view to make profits or to conceal the actual position of the client. The auditors have to be true and fair for disclosing the financial information to the investors in order to fulfill their duties. The report discusses the case of Lehman Brothers in USA which includes the negligence of the auditors in disclosing the real position of the company in the audit report which was published 2 months before the bank declared as insolvent. It was found that the auditors had sufficient proofs to disclose the malpractices of the bank, that it was disclosing the wrong amounts for the value of the firm and size of assets but the auditor neglects them. It can be concluded that the financial crises brought a lot of responsibilities t the financial auditors in which the auditors are expected to focus on the expectations gap and the auditors need to improve on the audit evidences, level of judgments being made and on the audit quality. In the recent years, Auditing has become a subject matter of discussion across the world. Auditing is facing a lot of litigation after the incidents of global crisis and this enhanced the need for more quality in audit procedures which also builds up the confidence of the markets. There are certain recommendations which are useful for making audit a clean and quality procedure, providing clear, true and fair view on the financial accounts. The government should encourage the auditors by limiting their liability which will show its positive effect in the quality of audits. The auditors can get rid of the clients which are highly risky and which can bring crisis. It decreases the chances of the auditors to get engaged in the regulatory issues. Proper planning is advice before conducting an audit which can provide an idea about the firm’s financial practices and the fairness and honesty in its practices. It will also improve the quality of the audit practices as it is good to plan before doing anything. In the constantly changing dynamic environment, auditors should use better technologies, practices and innovative practices to verify and audit the financial statements of the firm. The external auditors should establish proper communication and coordination with the internal auditors which helps them in getting the general ideas about the firm’s financial transactions. The internal auditors provide valuable information about the company to the external auditors. So, there should be a proper balance between the relationships of auditors and the management of the client. The auditors should provide tailor made services to the clients so that their needs and requirements can be met but the auditors need to be professionally true and honest in providing judgments or reviews to the client. For this, the auditors should adopt proper documentation so that they can provide honest judgment to the clients. A limit should be there on the audit fees which are given to the auditors for completing the audit. There should be joint audits in case of the big companies which includes the audits done by two audit firms, sharing the work and presenting their views on the financial statements of the client. This will also include the sign of both the audit firms on the final report prepared by them. This will provide an opportunity to different firms to take part in the audits of big firms and also provide the chances of fair and true audits in the dynamic market but to hold the independence of auditors, rotation is advices for a fixed period of time for both eh auditors. This will lead to lesser chances of frauds and misstatements of the auditors on the errors done by the company. High degree of professional skepticism is needed by the authors while examining the books of financial accounts and while disclosing the views on the management and financial accounts. The management of the company should ring auditor in the Annual general Meeting to answer any questions or doubts by the shareholders. It will increase the trust of the shareholders on the company and the auditors will also regain their trust. Baker, C.R. 2014;2013;, "A comparative analysis of the development of the auditing profession in the United Kingdom and France", Accounting History, vol. 19, no. 1-2, pp. 97-114. Chatterjee, P. (2015, 04 16). Ernst & Young Pays $10 Million To Settle Lehman Brothers Audit Failure Lawsuit. CorpWatch . Faulty auditing to blame for rising financial woes 2013, , Athena Information Solutions Pvt. Ltd, Kathmandu. Inman, P. (2010, 03 15). Auditors' role in Lehmans collapse unites opposition in calls for reform. theguardian . Kaur, H. & van der Laan, S. 2013, "Auditing Litigation and Claims: Conflicts and the Compromise of Privilege", Australasian Accounting, Business and Finance Journal, vol. 7, no. 4, pp. 3-16. Nur Probohudono, A., Tower, G. & Rusmin, R. 2013, "Risk disclosure during the global financial crisis", Social Responsibility Journal, vol. 9, no. 1, pp. 124-137. Sikka, P. (2009). Financial Crisis and the Silence of Auditors. accounting organisations and Society . Todea, N., & Stanciu, I. C. (2009). AUDITOR LIABILITY IN PERIOD OF FINANCIAL CRISIS. Annales Universitatis Apulensis Series Oeconomica . Wiggins, R. Z., Bennett, R. L., & Metrick, A. (2014). The Lehman Brothers Bankruptcy D: The Role of Ernst & Young. Yale Program on Financial Stability. Xu, Y., Carson, E., Fargher, N. & Jiang, L. 2013;2011;, "Responses by Australian auditors to the global financial crisis", Accounting & Finance, vol. 53, no. 1, pp. 301-338.